The Krokholmen house is the latest new ultra-low-tech vacation home, therefore requiring low maintenance, designed by Tham & Videgård. As in previous experiments Tham & Videgård have been conducting in the same theme for many years, this house is a small building designed to suit its natural setting on an island in the archipelago across from Stockholm. 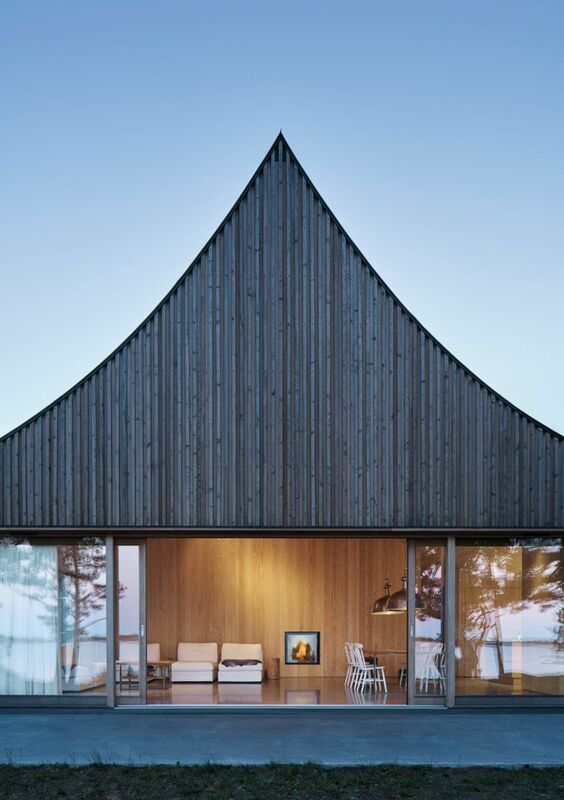 The material of the frame is wood, as in Söderöra, which may be associated with a roof made of concrete, as in the Lagnö Summerhouse, or metal, as in the Husarö House, but is always left in view, underlining its natural aspects, so as to establish an immediate dialogue with the house’s natural surroundings and with Nordic traditions. This house, like the others, is a minimal architectural project in terms of functions, furnishings and installations, employing unsophisticated construction methods and technologies in order to cut maintenance costs. 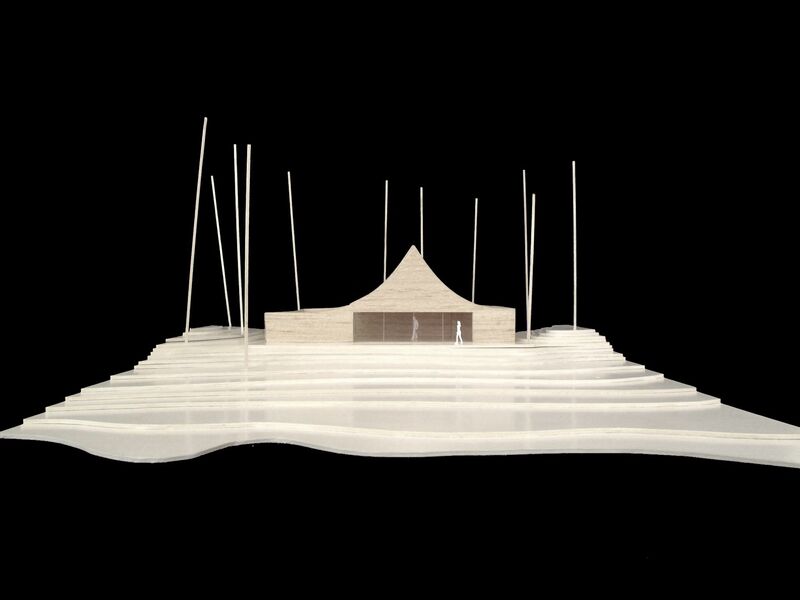 This study of the archetype of the Swedish holiday home goes as far as to evoke the tent, in search - to paraphrase the architects – of the least complicated way to spend time in nature, but also recalls the structure of a gazebo, a temporary pavilion or any other kind of building designed to stand gently on the ground without altering the balance of the landscape. 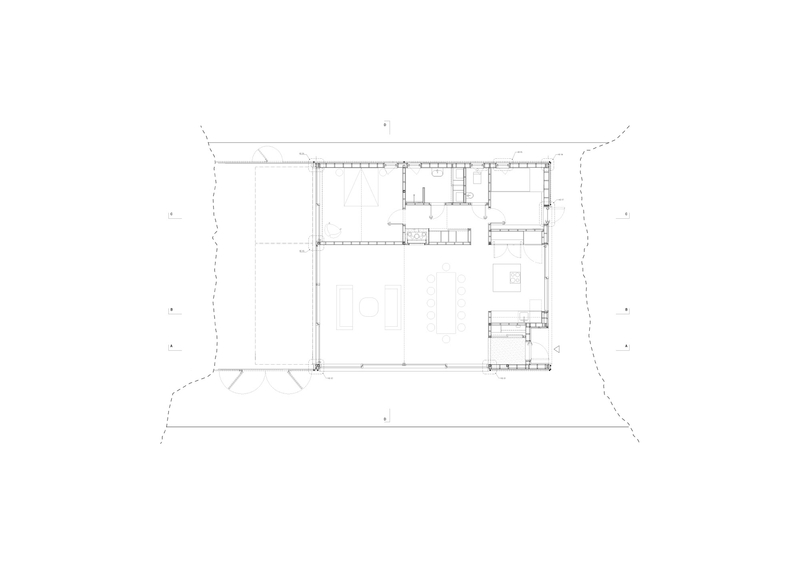 Under this soft “tent” is a layout on a single level, the spatial quality of which is clearly raised by the two big arches of the roof and by the omnipresent use of wood, appearing in the frames, coverings and furniture, most of which is built-in. As in the Lagnö Summerhouse, there is a clear distinction between the living area and the bedroom area thanks to a central wall which is partially fitted with wardrobes, shelves and a fireplace. It opens up in the middle onto a corridor, completely lined in wood, leading to the two bedrooms, the bathroom and the storage areas. These correspond to a completely windowless façade on the back of the building, to the west, in bold contrast with the eastern façade, which faces the sea, and the southern façade overlooking the courtyard, both of which have big sliding glass doors. Nature and water, the typical Swedish landscape with dwarf pines blown crooked by the wind, big horizons and the Almagrundet lighthouse in the open sea come right into the home to join in the family’s activities, considered an ideal backdrop for living. The living room area opens up horizontally, along the line of the sea, and vertically up to 6 metres at the peak of the tent, encountering a new fullness. This spatial research is characteristic of Tham & Videgård’s buildings, with their bold geometric shapes, such as that of the new lobby of the Royal Institute of Technology in Stockholm or the symbolically rounded Tellus Nursery School, and often open up onto broad, unusual views.